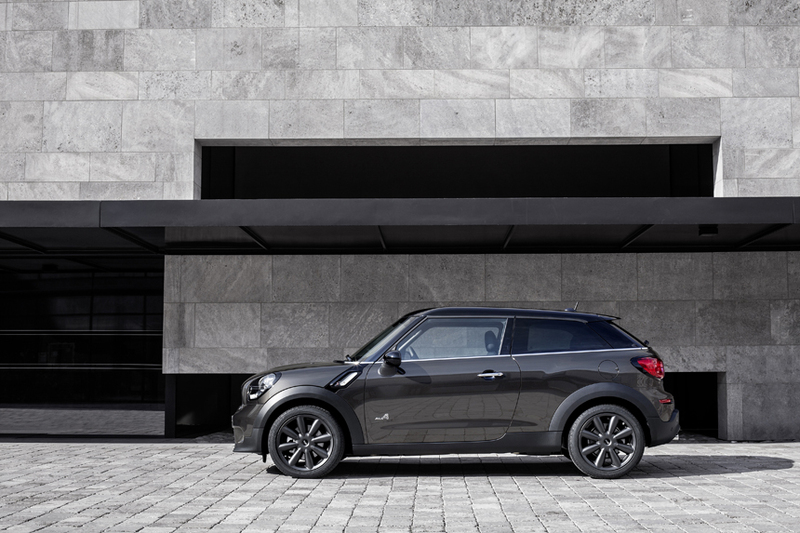 This entry was posted in news and tagged MINI Paceman on April 20, 2014 by James Day. 165 – 111 g/km) underscores its exceptional standing as a sporty, elegant individualist with fresh design details, increased driving performance figures, further optimised efficiency, innovative equipment features and refined premium characteristics in the interior; pioneering automobile concept of a compact 3-door model with coupé-like lines, unique combination of driving fun and functionality and the optional all-wheel drive system ALL4 now gains additional appeal; increased engine output in the new MINI Cooper S Paceman consolidates driving fun leadership within the segment driving fun; market launch in July 2014 also includes the launch of the new edition of the extreme athlete MINI John Cooper Works Paceman. New MINI Paceman offering further increased driving fun and optimised efficiency; selection of two petrol and two diesel engines each with four cylinders; range also includes: top athlete MINI John Cooper Works Paceman with 160 kW/218 bhp 4-cylinder turbo engine; all model variants now with emission rating according to the EU6 emission standard and extended MINIMALISM technology including optimised aerodynamic properties to reduce fuel consumption and emission levels; output increased by 5 kW to 140 kW/190 bhp in the MINI Cooper S Paceman; 6-speed manual transmission as standard, 6-speed automatic transmission as an option: all-wheel drive system ALL4 as standard in the MINI John Cooper Works Paceman and optional for all other models. CO2emissions: 165 g/km (175 g/km), exhaust emission standard: EU6. CO2emissions: 139 g/km (157 g/km), exhaust emission standard: EU6. CO2emissions: 148 g/km (165 g/km), exhaust emission standard: EU6. CO2emissions: 137 g/km (159 g/km), exhaust emission standard: EU6. CO2emissions: 156 g/km (164 g/km), exhaust emission standard: EU6. CO2emissions: 119 g/km (149 g/km), exhaust emission standard: EU6. CO2emissions: 126 g/km (156 g/km), exhaust emission standard: EU6. CO2emissions: 111 g/km (148 g/km), exhaust emission standard: EU6. CO2emissions: 123 g/km (155 g/km), exhaust emission standard: EU6. Read the additional Press Kit: MINI at Auto China Beijing 2014.